2002 – The Beginning: an old kitchen table and a bunch of milk crates in the basement. I worked like this for the next 12 years. 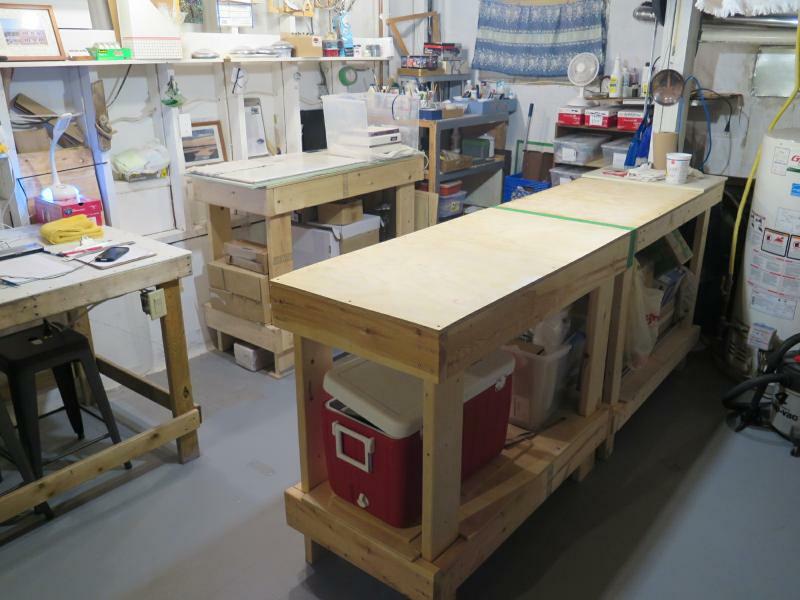 2014 – expansion in the basement with the addition of a new workbench and redesign of the work space. 2015 – continued expansion with the addition of two more work benches. 2016 – The official opening of Nellyglass Studio. I maintained the same space in the basement all year… which got more and more crowded as time went on. 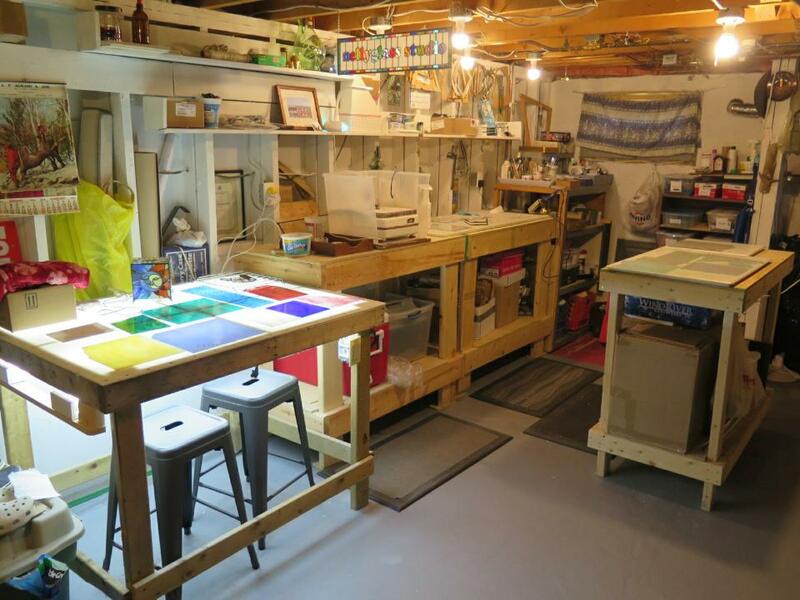 2017 – another expansion in the basement with the addition of a glass storage unit and a proper light table, both built by my friend Glenn Ketchum. 2018-19 No major additions, just some efficiency tweeks for better flow and the occasional layout shift to accommodate larger projects.